But last Sunday evening at the car park of Trader Joe’s Super Grocery Store in Pasadena, California, some form of Nemesis seems to have caught up with him and has possibly fouled his chances of being eligible to run in the presidential races. The fates that work in mysterious ways appear to have nobbled the Rajapaksa favourite steed in a United States Pasadena paddock. A federal court has held Syria’s government liable for the targeting and killing of an American journalist as she reported on the shelling of a rebellious area of Homs in 2012. The decision could help ease the way for war-crimes prosecutions arising from the Syria conflict. “Our hope is that this case in some ways will provide a blueprint for future cases against the regime” led by President Bashar al-Assad, said Scott Gilmore, lawyer for the Colvins, after Judge Jackson’s ruling was issued. Meanwhile, it was also reported: “US District Court Judge Amy Berman Jackson in his verdict concluded the Syrian military had deliberately targeted the makeshift media centre in the city of Homs where Colvin and other journalists were working on February 22, 2012. 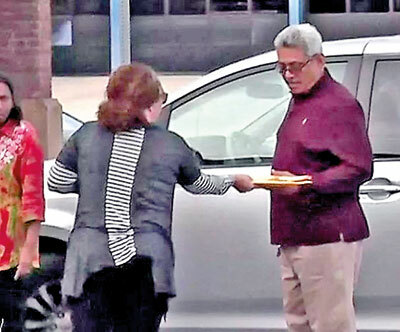 “She was specifically targeted because of her profession, for the purpose of silencing those reporting on the growing opposition movement in the country,” Jackson wrote. 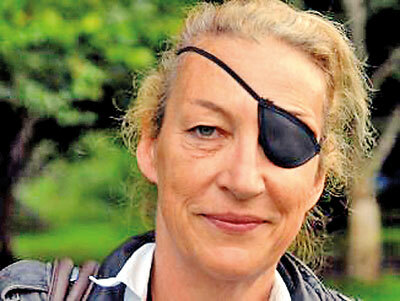 Colvin, a 56-year-old war correspondent working for Britain’s Sunday Times newspaper when she died, wore a signature black patch over her left eye after being blinded by a grenade in Sri Lanka in 2001. The 2018 film “A Private War” was based on her life. Collecting the money will be an arduous effort that, at best, will take years, Mr. Gilmore said. But more significant, he said, the ruling was the first time a court had held the Syrian government responsible for an atrocity from a war convulsing the country for nearly eight years. Lawyers for Colvin’s family hope to recover the $302m settlement by targeting frozen Syrian government assets overseas. The SUNDAY PUNCH wishes its readers a very Happy Sinhala and Hindu New Year. May the dawned year be lit with joy and prosperity!